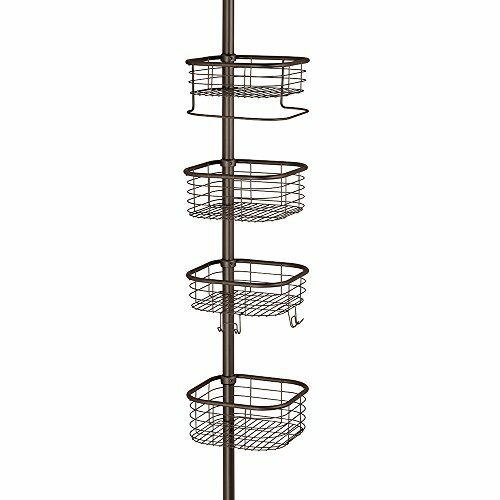 BATHROOM STORAGE: Bronze finished steel caddy with 4 square shelves, 2 razor hooks and a towel bar. MAXIMIZE SPACE: Shower caddy transforms wasted bathroom space into valuable additional storage. CONSTANT TENSION: New, patented constant tension technology - no need for continuous adjustment. NO RUST: Steel caddy has Thermobond rust resistant coating - measures 9" x 9" x 9' (fully extended).